SALT LAKE CITY (AP) — Mormon church founder Joseph Smith insisted on introducing polygamy in the early 1800s despite knowing the societal risks and getting pushback from other leaders and his first wife, recounts a new church history book unveiled Tuesday. A nearly 600-page book that covers early church history from 1815-1846 doesn’t dwell on polygamy, but doesn’t entirely skip over it either. That’s noteworthy and marks The Church of Jesus Christ of Latter-day Saints’ latest attempt to be more transparent about sensitive issues of its past. Quentin L. Cook and Dale Renlund, high-ranking leaders with The Church of Jesus Christ of Latter-day Saints, said the parts about plural marriage provide the full story within the context of what was happening at that time in history. The book recounts founder Joseph Smith’s introduction of plural marriage after he received what he believed was a revelation from the Lord. The book details how his wife, Emma Smith, and many leaders recoiled and questioned the direction. At one point, the faith’s polygamous practices led an excommunicated Mormon to publish an expose about the religion and give lectures titled, “The secret wife system at Nauvoo,” the new book says. Some Mormon leaders denied the allegation because polygamy was being practiced secretly and they were unaware. 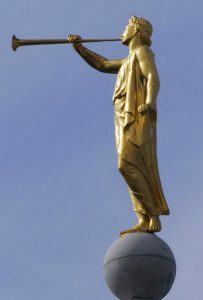 The book’s recognition of polygamy — which the faith banned in 1890 and prohibits today — is the most recent example of the Utah-based faith acknowledging polygamous roots. The faith published an online essay in 2014 that provided a detailed account of polygamous practices during the 1830s and 1840s in Kirtland, Ohio, and Nauvoo, Illinois. That essay acknowledged that while most of Smith’s wives were between 20 and 40 years old, he had one who was 14 years old. That young bride isn’t mentioned in the new book, but it does tell the story of his marriages to a pair of sisters who were older teens. In 2015, the church included a small display about plural marriages when it opened its renovated history museum. The book is a robust and honest version of early church history and while it doesn’t dwell on polygamy, it’s notable that it provides the history of plural marriages in a straight forward way, said Patrick Mason, a professor of religion at Claremont Graduate University in California who is the chair of Mormon Studies at the college. 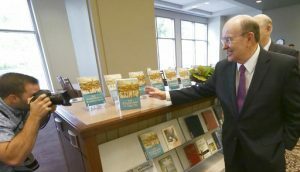 Steven E. Snow, executive director of the church history department, said the book provides the whole story behind a difficult time and one that is not well understood. “If people read this, they’ll understand we’ve been pretty forthright in our telling of the story,” Snow said. The book is the first of four planned volumes that will retell the story of the faith. The first volume covers Joseph Smith’s “first vision” in which he said he received a visit from God and Jesus in 1820 in the woods of upstate New York that led to the foundation of the religion. It also tells the story of when Joseph Smith and his brother Hyrum were fatally shot by a mob in 1844. The last multi-volume history of the faith was published in 1930 — when church membership was less than 1 million with most members in the American West. Today, the faith counts 16 million members with more than half outside the U.S. The book is available in 14 different languages. Snow said the book “draws on the power of narrative, but is not fiction,” with every scene and dialogue backed by historical research. Very interesting I guess you you be sitting in a jail cell for that activity in todays world.